Hello and welcome to MFT Sketch Challenge #223! 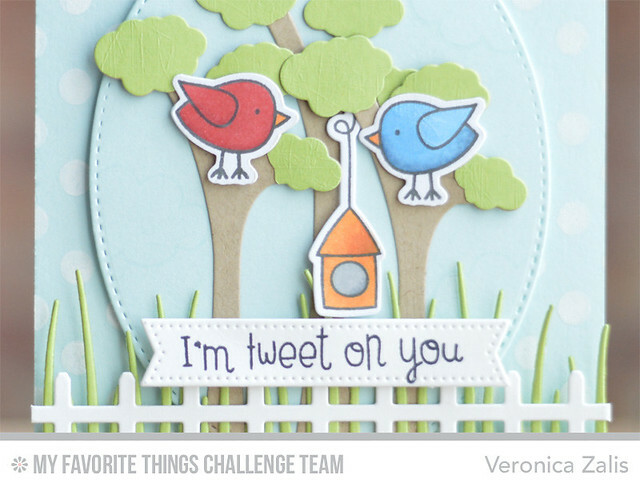 This week we have a really fun sketch for you to play with and to see it, and to see what the rest of my talented team mates created be sure to visit the MFT Challenge Blog! Yeah, I didn't order this set. This care is AS CUTE as it can be. Darn it. Where can I find the list of winners for the Light it up blog hop please? Love your little scene here Veronica, that fence and grass! Such a fun card! Such a cute scene! You definitely broke the Super Boy mold on this one. Ha!